The new complete rock crushing system is top European designed and built. Available due to a cancelled project. Great opportunity to SAVE Money on a NEW Rock Crushing System. The plant is being sold well below the purchase price of new. 1. 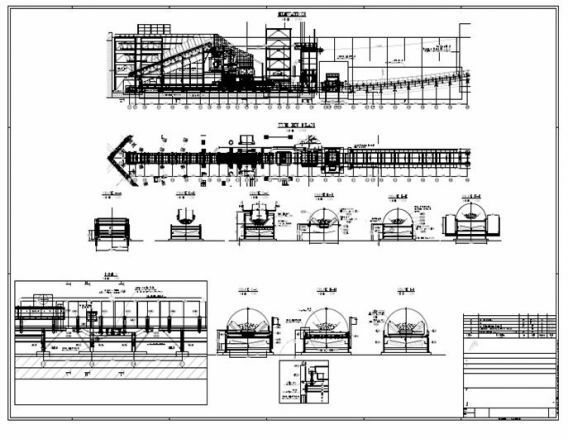 Primary Crushing, spare parts, MMD conveyors (1 for cone heap stock), Scale, trap iron metal detector, as shown on the drawings. Static Grizzly, Electrics, Chutes, Supporting Structures, Initial & Capital Spare Parts, Consumables for start up, Special Tools for erection, Vendor Data & Drawings, Manuals, Export Packing, Engineering Drawings and Documentation.